Take a look at Christy Cooling Service Ltd’s Wall Mounted air conditioning Units. We offer a wide variety of different wall mounted air conditioning units, each designed for various applications ranging from domestic and residential air conditioning units, to commercial air conditioning units for offices, shops, restaurants, bars, doctors surgeries and IT computer rooms. By far the most popular variety of air conditioners, wall mounted air conditioning units are versatile. They applicable to all kinds of spaces so long as they’re not obstructed, as well as the best way of keeping you and your room cool. These mounted units can be placed just about anywhere, including high up in the room where they can easily blend into the background. Many wall mounted air con units also come with options to heat the room, offering you an even broader sense of control over your own environment. Alongside your air con unit, we ensure you’re fully supplied with the complete kit, including indoor kit, outdoor kit and remote controls, where applicable. Our wall mounted air con units also come ready and charged with refrigerant, washable filters in each unit. This menans that you don’t have to keep spending money to replace them and instructions to help you make use of them. Some air con units even come with WiFi control so you can manage your environment from all kinds of devices including smartphones and tablets. The smaller range of wall mounted air con units have now been designed for domestic and residential use due to their size and low operating noise levels. The domestic air con units are compact and have a slim height profile to enable the units to be located on walls and above doors and window openings. All pipework can be connected and any drains can be gravity or quiet condensate pumps. The systems either have wired or infrared remote controllers. Our selection of air conditioning isn’t all you get when you choose Christy Cooling Service. You also get access to a team that has been helping homes and business premises with over 30 years of experience in the industry all throughout Essex and the surrounding areas. These, include Harlow, Epping Forest, Brentwood, Basildon, Castle Point, Rochford, Maldon, Braintree, Colchester, Tendring, Thurrock, Grays, Tiptree and Southend-on-Sea. Our dedication to customer service and satisfaction is best represented in the advice we can offer to make sure you’re choosing the right wall mounted air con unit for you. We help you find it, we help you install it, and then we help you take care of it, too. We offer all new customers maintenance tips, as well as carrying out the preventative maintenance, the necessary service calls, and air con unit repairs you might need. Every member of the team is qualified and certified, and we’re accredited with Safe Contractor, CHAS, and Constructionline Health and Safety certifications. That makes us the best team in Essex to help you find the solution to your air conditioning needs. Whether you have a tight budget, or you want the latest tech from the most trusted designers. 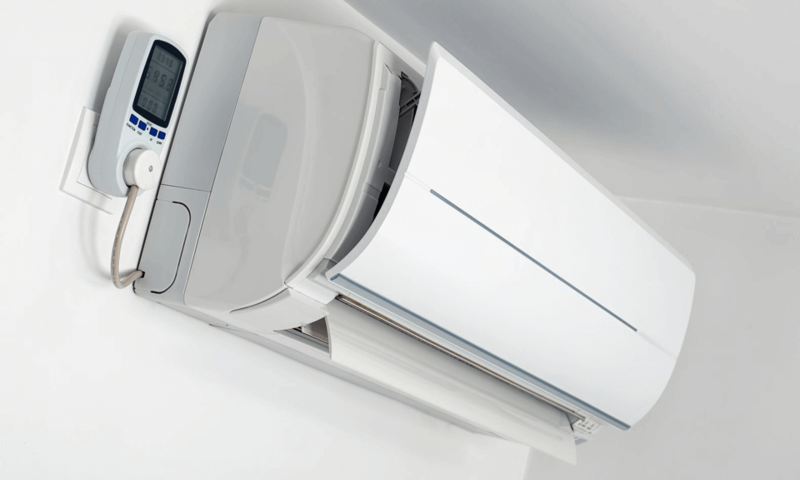 Whether you want something as small as to keep your bedroom cool or a unit large enough to reach the whole office, Christy Cooling Service has the right option for you. We offer free advice with every purchase to help you find which air con unit best suits you. As well as a free quote to help you better understand the costs of installation and any servicing needs, not just the upfront price of the unit itself. Give us a call on 01277 841 500 to speak with our team of experienced, licensed engineers. We're here and ready to move as soon as you need us and it only takes a matter of hours to make your new air con unit a real part of the home or business property.